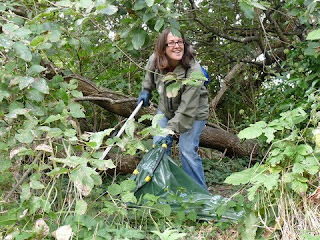 The newly-formed Cardiff Rivers Group kicked off Tidy Wales Week on Saturday 19th September with a clean-up of the banks of the River Taff in Cardiff. 5 volunteers spent 3 hours walking the Taff Trail collecting 15 bags of rubbish from the riverbanks; they also found a fridge and many bags of dog mess which un-responsible dog owners had thrown into trees! Group Secretary, Dave King, is so committed to ridding Wales of litter that he has taken the week off work so he can dedicate his time to litter-picks every day of Tidy Wales Week!! Not only will he spend his holidays cleaning up areas of Cardiff, but he is also joining Keep Wales Tidy staff and volunteers to remove flytipping from woodlands in Newport and litter from sand dunes in Merthyr Mawr. 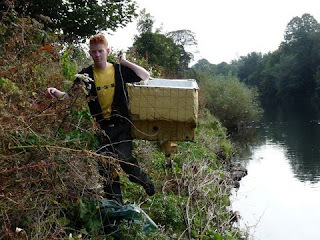 Dave was one of the founder members of Cardiff Rivers Group which was formed earlier this year as part of Keep Wales Tidy’s Nationwide, ‘Tidy Towns’ project. All members were volunteering as individuals on the project when they decided to form a group of their own. 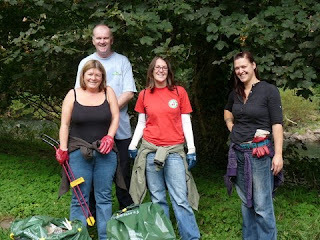 They now have 7 enthusiastic core members who all share the same desire to see the riverside environment of Cardiff litter-free, and assisted by Keep Wales Tidy, they have already undertaken a number of clean-ups of their adopted stretch of the River Taff which runs through the Gabalfa and Pontcanna areas of the City. Tidy Wales Week has kicked off their monthly programme of winter works. 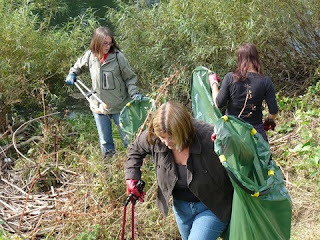 The next event will take place on Saturday 17th October where they intend to tackle the large build-up of rubbish below Llandaff weir. New volunteers are always welcome, so if you would like to spend a few hours in the fresh air and make a difference to environment then please contact Louise Tambini on 029 2072 6976 or 07824 504790. Additional Photographs . . . .